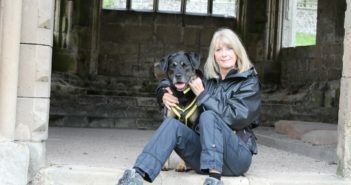 Thanks to local dog lovers Dogs Trust Shrewsbury has been able to help more dogs than ever enjoy their home comforts in foster care before heading off to their forever homes in the last year. 100 dogs of all shapes, sizes and ages were loved and looked after by doggie foster carers across the region in the last twelve months – a record number since the Home from Home foster scheme was set up in May 2015. 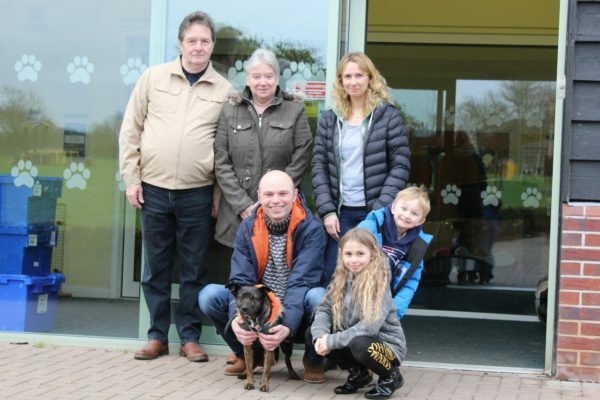 Mill and Pamela Collins from Copthorne have been foster carers for two years and Crossbreed Alma, the 100th dog to find her forever home after being in foster care, was the nineteenth foster dog they have welcomed into their home. “We started fostering when I retired,” said Mill. “At the time our elderly dog, Geena, who has now sadly passed away didn’t need too much exercise and we visited the rehoming centre looking to adopt another dog. We saw the advert for foster carers and it just seemed the right thing to do. The Home from Home scheme provides foster ‘parents’ for dogs who might find kennel life stressful, such as poorly or pregnant dogs, strays, puppies or older dogs who are used to a quieter life. 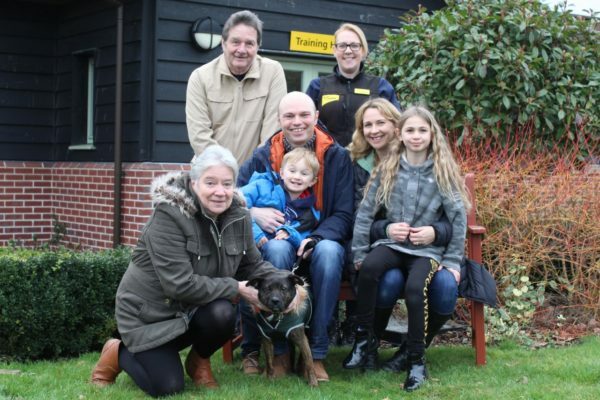 Foster carers Mill and Pamela Collins (front and back left) are pictured with Alma along with Sue Bromley, Assistant Manager at Dogs Trust Shrewsbury (back right), and her new forever family, Clare and David Rose with children Edie and Joshua. 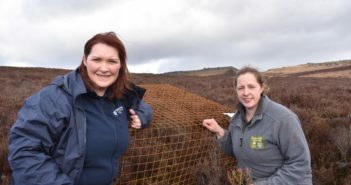 Since its launch, 63 people have taken on the role, providing temporary homes before waving a fond farewell to a total of 292 dogs when they have found their special someone. If you would like to find out more about becoming a foster carer, or would like to know more about all the dogs waiting for their forever homes at Dogs Trust Shrewsbury, please visit www.dogstrust.org.uk or call 0300 303 0292. You can also visit Dogs Trust Shrewsburyat Roden Lane Farm, Telford, Shropshire, TF6 6BP.